Hi there! Today we discuss the ecliptic comets. You know the comets, these dirty snowballs which show two tails when they approach the Earth (in fact, they have a tail because they approach the Sun). The study I present today, The contribution of dwarf planets to the origin of low-inclination comets by the replenishment of mean motion resonances in debris disks, by M.A. Muñoz-Gutiérrez, A. Peimbert & B. Pichardo, tells us on the dynamical origin of those of these bodies, which have a low inclination with respect to the orbit of the Earth (the ecliptic). Simulations of their own of the primordial debris disk beyond Neptune show that the presence of dwarf planets, like Eris or Haumea, supplies future ecliptic comets. 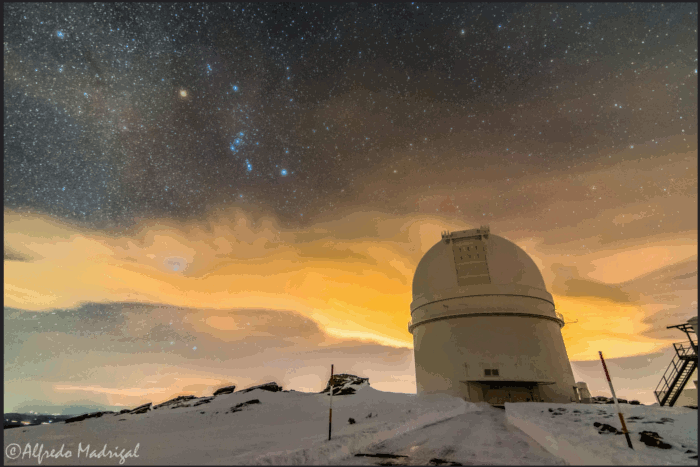 This study has recently been published in The Astronomical Journal. As I said, comets are dirty snowballs. They are composed of a nucleus, made of ice and silicates. When the comet approaches the Sun, it becomes hot enough to sublimate the ice. This results in two visible tails: a dusty one, and a tail of ionized particles. Beside this, there is a envelope of hydrogen, and sometimes an antitail, which direction is opposite to the dusty tail. The comets usually have a highly eccentric orbit. As a consequence, there are huge variations of the distance with the Sun, and this is why their activity is episodic. Their temperature increases with the closeness to the Sun, triggering outgassing. In fact, a moderately eccentric body may be considered to be a comet, if activity is detected. This is for instance the case of the Centaur Chiron. Chiron was detected as an asteroid, and later, observations permitted to detect a cometary activity, even if it does not approach the Sun that much. But of course, this does not make the kind of beautiful comets that the amateur astronomers love to observe. Regarding the “classical” comets: they have a high eccentricity. What does raise it? The study addresses this question. But before that, let us talk about the ecliptic comets. The ecliptic comets are comets with a low inclination with respect to the orbital plane of the Earth. In fact, the detections of comets have shown that they may have any inclination. The ecliptic comets are an interesting case, since they are the likeliest to approach the Earth (don’t worry, I don’t mean collision… just opportunities to observe beautiful tails 😉 ). These low inclinations could suggest that they do not originate from the Oort cloud, but from a closer belt, i.e. the Kuiper Belt. You know, this belt of small bodies which orbits beyond the orbit of Neptune. The reason is that part of this belt has a low inclination. It also appears that beyond the orbit of Neptune, you have dwarf planets, i.e. pretty massive objects, which are part of the Trans-Neptunian Objects. The authors emphasize their role in the dynamics of low-inclination comets. 5 Solar System objects are officially classified as dwarf planets. 3 of them are in the Kuiper Belt (Pluto, Haumea and Makemake), while the other two are the Main-Belt asteroid Ceres, and Eris, which is a Trans-Neptunian Object, but belongs to the scattered disc. In other words, it orbits further than the Kuiper Belt. The following table presents some characteristics of the dwarf planets of the Kuiper Belt. I have added 4 bodies, which may one day be classified as dwarf planets. Astronomers have advised the IAU (International Astronomical Union) to do so. Anyway, the dynamical influence of a planetary object does not depend on whether it is classified or not. These are objects, which have a significant mass, orbiting in the Kuiper Belt. And they are involved in the study. Here the authors work with the Kuiper Belt as a disc. So, they assume the 8 major planets to be formed. Moreover, they already have dwarf planets in the disc. And the small bodies, which are likely to become comets, are under the gravitational influence of all this population of larger bodies. For them to become comets, their eccentricities have to be raised. And an efficient mechanism for that is resonant excitation. A mean-motion resonance (MMR) between two bodies happens when their orbital periods are commensurate. In the present case, the authors considered the 2:3 and 1:2 MMR with Neptune. The 2:3 resonance goes like this: when Neptune makes 3 orbital revolutions around the Sun, the small object makes exactly 2. And when an object makes one revolution while Neptune makes 2, then this object is at the 1:2 MMR. 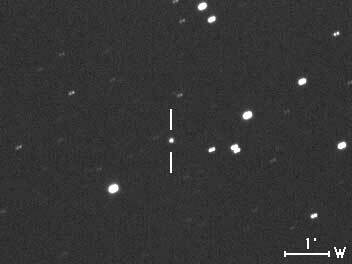 These two resonances are in the Kuiper Belt disc considered by the authors. Such period ratios imply that the small bodies orbit much further than Neptune. Neptune orbits at 30.1 AU (astronomical units) of the Sun, so the 2:3 MMR is at 39.4 AU (where is Pluto), and the 2:1 MMR is at 47.7 AU. When a small body is trapped into a MMR with a very massive one, the gravitational perturbation accumulates because of the resonant configuration. And this interaction is the strongest when the two bodies are the closest, i.e. when the small body reaches its perihelion… which periodically meets the perihelion of the massive perturber, since it s resonant. So, the accumulation of the perturbation distorts the orbit, raises its eccentricity… and you have a comet! But the issue is: in raising the eccentricities, you empty the resonance… So, either you replenish it, or one day you have no comet anymore… Fortunately, the authors found a way to replenish it. The authors ran different intensive numerical simulations of multiple disc particles, which are perturbed by Neptune and dwarf planets. These dwarf planets are randomly located. They challenged different disc masses, the masses of the dwarf planets being proportional to the total mass of the disc. 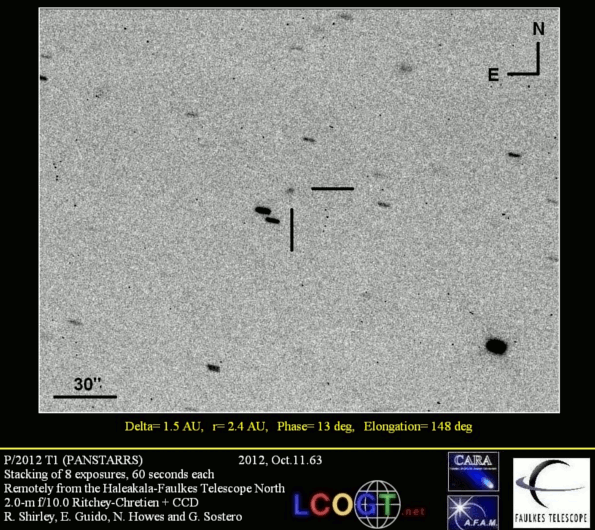 It becomes a comet and may be destabilized. It could also become a Jupiter-family comet, i.e. a comet which period is close to the one of Jupiter. This happens after a close encounter with Jupiter. Other particles arrive in the resonances, and become comets themselves. The authors also estimated the cometary flux, which this process should create. The authors estimate that it can give up to 8 Jupiter-family comets in 10,000 years, while the observations suggest a ten times larger number. So, this is a mechanism, but probably not the only one. and the one of Bárbara Selén Pichardo Silva.